Kneel on the floor. Keep your knees together and your feet about 18 inches apart. Bring your buttocks to the floor between your heels. The inner edge of each calf should touch the outer edge of its corresponding thigh. Point your toes straight back; they may want to turn in and overstretch your ankles. 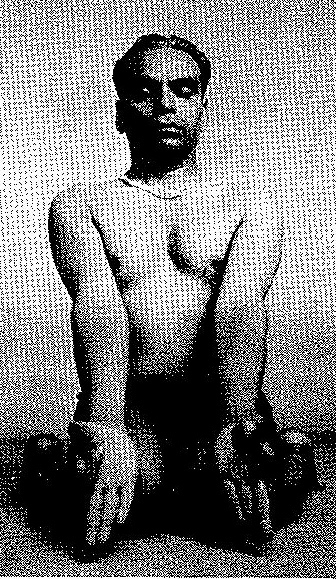 Place your wrists on your knees with your palms facing forward and up. Join the tips of your thumbs and forefingers; keep your other fingers extended. Sit upright. Remain in this shape for as long as you can with deep breathing. You're not done yet. Rest your palms on your knees and tuck your chin to your chest. 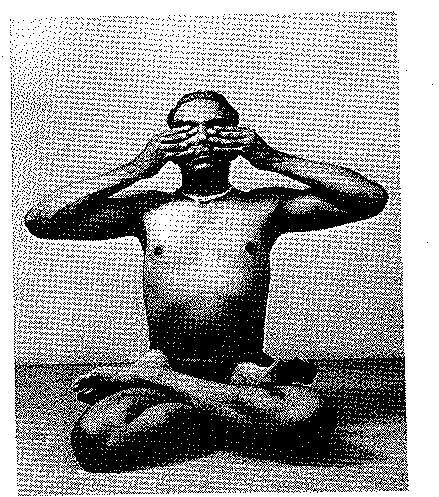 Then interlace your fingers, stretch your arms overhead with your palms facing up, and lift your chin. 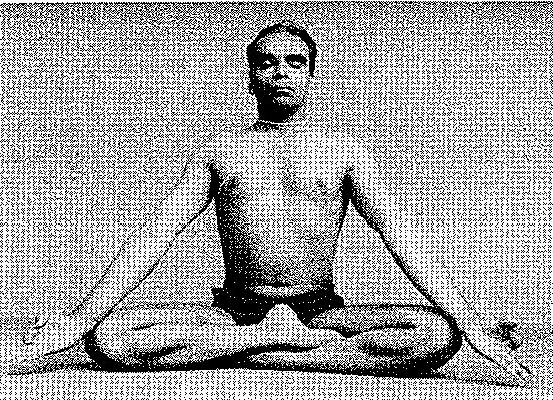 Remain in this position for up to 60 seconds with deep breathing. Exhale, release your arms, and place your palms on your heels. 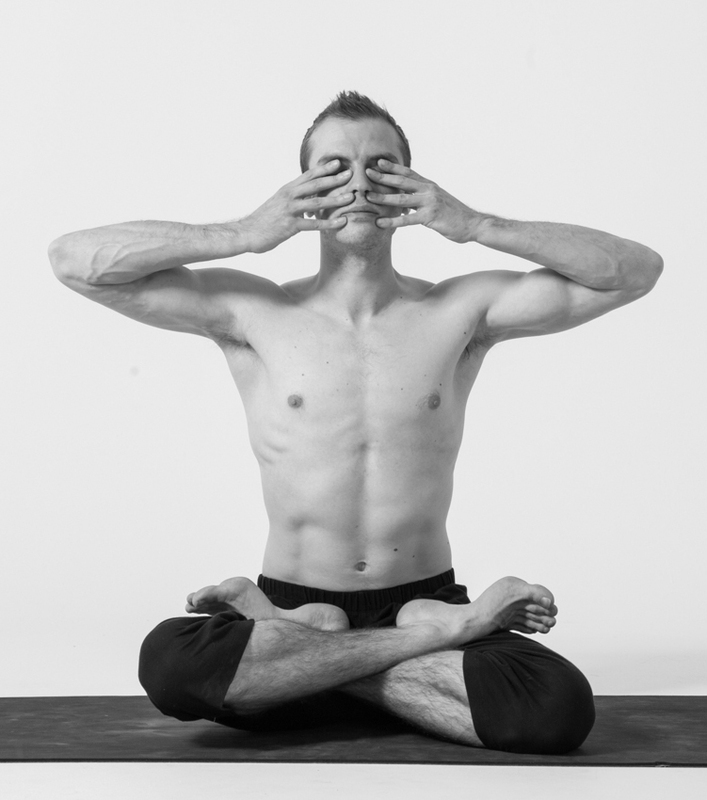 Fold forward and rest your chin on your knees. NOW release the shape, stretch your legs forward and relax. My R hip is slightly elevated compared to my L. This is partially related to hip imbalances stemming from past injuries to my R knee. 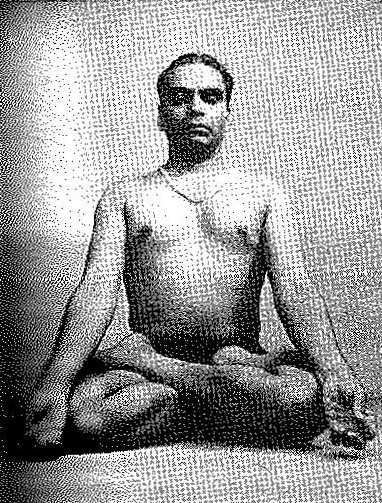 In Light On Yoga, Iyengar mentions that if your knees don't comfortably flex enough to bring your seat to the floor, it's possible to prepare for this pose by turning your toes in to touch one another beneath your buttocks. This is a deep ankle stretch of another kind. I recommend using blankets or blocks instead. There are dozens of techniques for this, and they will be a post for another day!